Russia expressed anger on Wednesday (20 March) that President Vladimir Putin has not been invited to ceremonies marking the 80th anniversary of the start of World War II in Poland later this year. The Russian foreign ministry voiced its “bewilderment” upon learning of Warsaw’s plan to mark the anniversary only with Poland’s close allies – members of the European Union and NATO and several ex-Soviet nations. 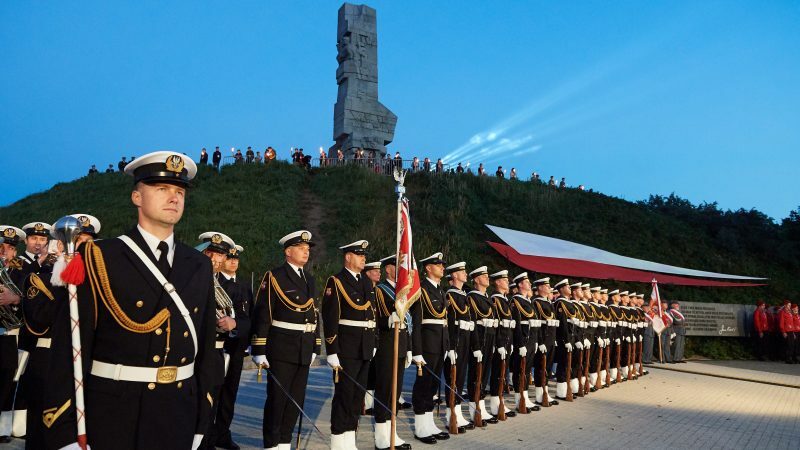 Russia accused the Polish authorities of ignoring “historical logic” and seeking to turn the September commemorations into a “secret” meeting. “Despite our Homeland’s unquestionably decisive contribution to the defeat of Hitler’s Reich and the liberation of Poland from the Nazi aggressors, there is no place for Russia in this plan,” the foreign ministry said in a statement. “Let it be on the current Polish authorities’ conscience,” it stated. “These dramatic events will be commemorated by Poland and the countries we work closely with today for peace in a world based on the principles of observing international law,” the press office told AFP. Ahead of the German invasion of Poland on 1 September 1939, Germany and the Soviet Union agreed to carve up eastern Europe between them in a secret clause of the infamous Molotov-Ribbentrop Pact. The USSR, allied with Nazi Germany, attacked Poland on 17 September 1939 and occupied part of its territory before Hitler launched a surprise attack against the Soviet Union on 22 June 1941, breaking the pact. Duda’s aide Krzysztof Szczerski suggested that invoking historical logic “in the context of September 1939 is problematic,” adding Poland and its allies respected international law. “Breaking these rules was the mark of the aggressors in 1939 and remains the biggest threat to peace today,” he was quoted as saying. Russia has faced Western condemnation for its 2014 annexation of Crimea and support for separatists in eastern Ukraine, as well as military support for President Bashar al-Assad in Syria, among other crises. Moscow insists the West often forgets that the Soviet Union saved the world from Hitler. An estimated 27 million Soviet soldiers and civilians were killed in WWII and the Red Army’s triumph in the deadliest war in history is seen as a huge point of pride in Russia.